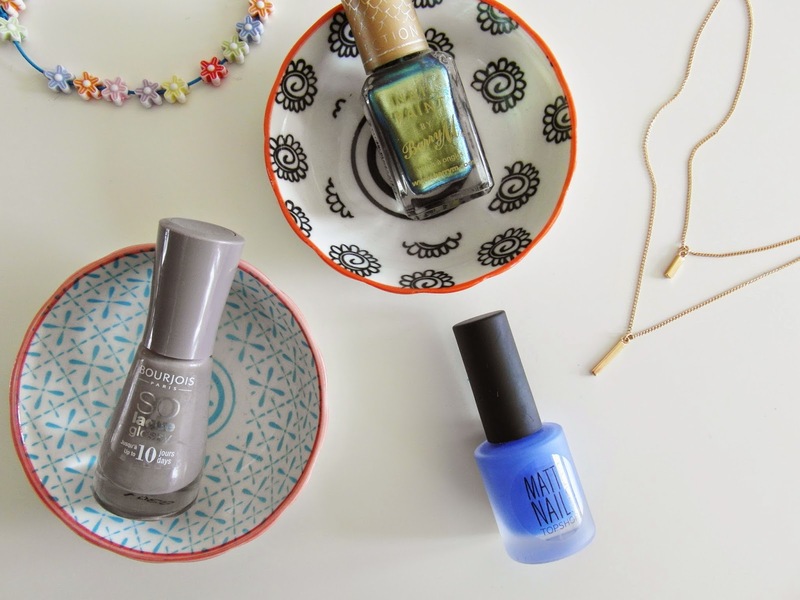 Hi guys, seeing as we’re getting into Spring time now I thought I’d share three of my favourite spring nail polishes with you. One of which also featured in my ‘3 AUTUMNAL NAIL POLISHES’ post but I love the colour so wanted to feature it again. I love this polish because it’s a bit different to your normal block colour polish. Being from the aquatic collection it’s obviously quite Spring/Summer appropriate as people begin planning their Summer holidays. It’s a really nice shade as it shows blue, green or gold depending on the light. This polish is a great polish all year round but I really love it for Spring as it’s purple/pink toned so eases me in to wearing bright nail colours. I really like the finish of this colour and would definitely buy more Bourjois polishes in the future. This is the polish repeat from my previous nail post. It’s such a gorgeous colour and I love the matte finish. In my opinion it isn’t completely matte. It has quite a shine to it when it’s dry so it’s a great in-between glossy and matte polish. Again, it’s great for helping make the transition from Winter to Spring and Summer as it adds a pop of colour to you outfit.